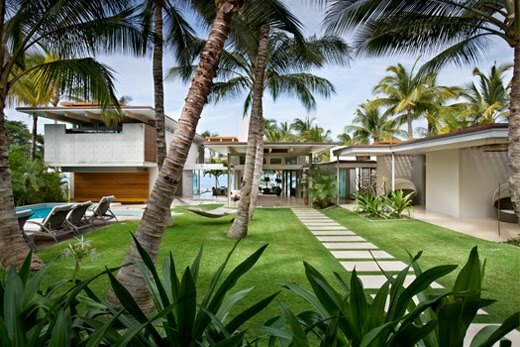 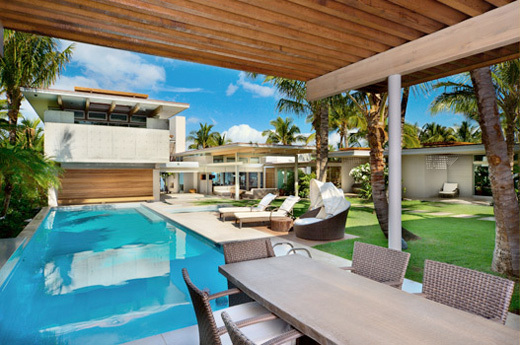 Tropical climate is one of those factors which attracts people who want to have a house of their dreams. 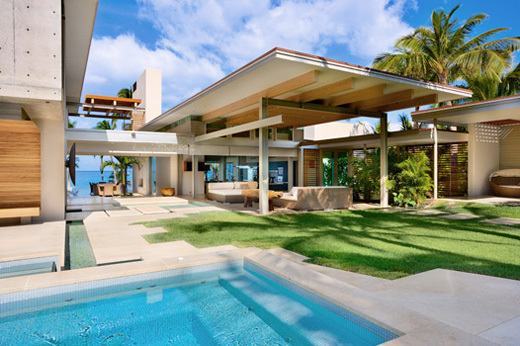 This house on Maui, Hawaii is one of those houses. 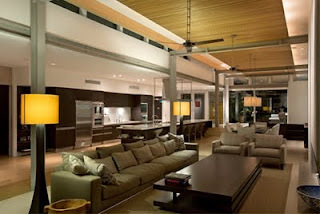 It has great open plan where indoor areas are connected to outdoor areas as much as possible. 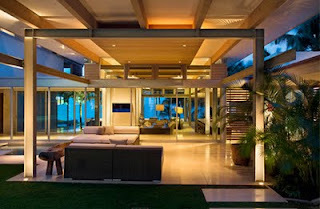 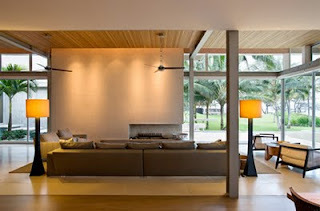 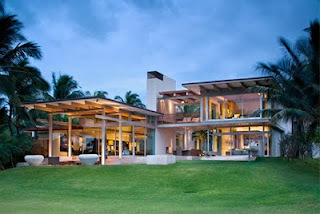 Thanks to that it takes advantage of the sea breezes to naturally ventilate and cool the interior. 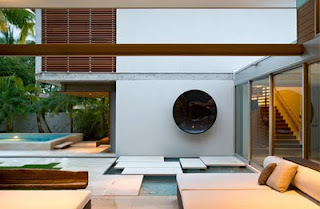 The house is composed of five separate buildings, linked by broad covered ways and wrapped around an open courtyard. The pool in the courtyard and many small water canals make it possible to hear water flowing from any outdoor patio or terrace which could be found anywhere on the site. 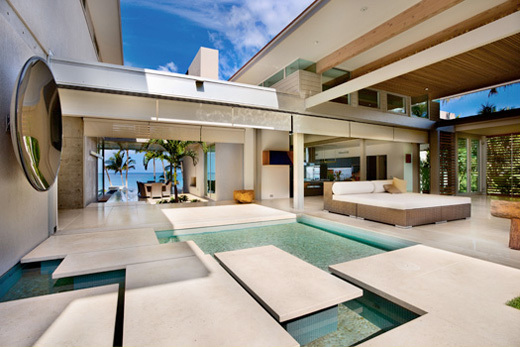 Even though the concept of open-plan living is quite typical for tropical houses this house definitely implements all its advantages. It was designed in build with environmentally sustainable design princeps in mind what is on of the main ideologies of Pete Bossley Architects.